Carrying a 1.8kg of rice cake is one of the highlights of our lil darling's First Birthday. 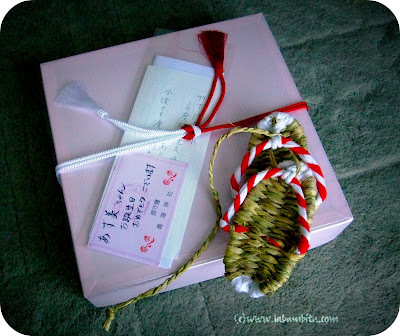 This is a traditional gift given by Okasan --my mom's mother in law who loves and adores Azumi so much, treats her like her own great grand daughter. Well here's another interesting Japanese custom which might sound a bit pitiless to celebrate the child's first birthday in Japan. 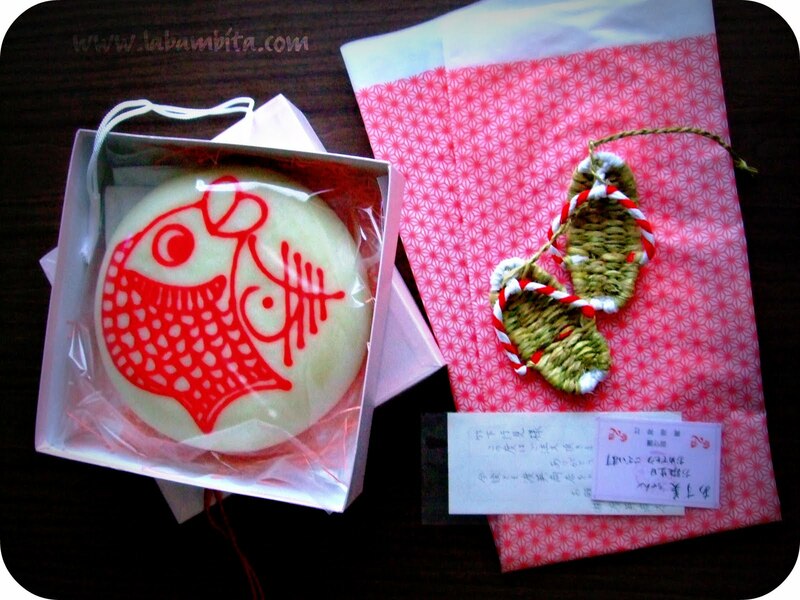 The celebrant is asked to carry 1.8 kg worth of rice cake or mochi on their back to wish them a happy and long life. This special rice cake or mochi is traditionally called Issho Mochi ( 一升餅 ), made to be part of the celebration. It's kinda heavy so babies are usually assisted to be able to walk even just a few steps. This also symbolizes the parents’ hope that the child will never go hungry throughout his or her lifetime. Azumi successfully carried the mochi for few seconds assisted by us. The mochi is round which symbolizes "no trouble". So we are hoping that this practice brings our love child a long life with no troubles. I just love the Japanese traditions. Everything has a meaning. I also hope she lives a long Happy life. Interesting indeed, I love reading other countries traditions and cultures especially Asian countries. We don't really have those kind of stuff over here in the States so learning this cultures is so much fun for me. 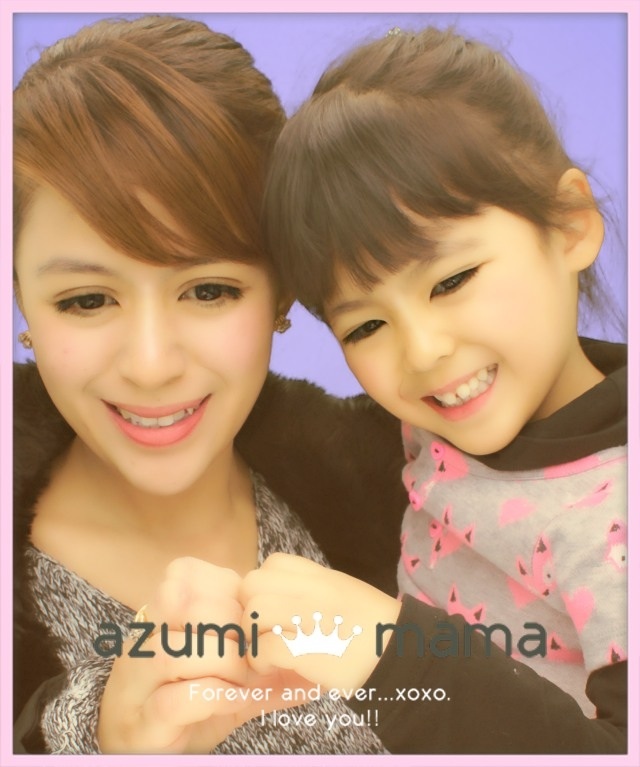 I am sure that your little darling Azumi will grow up fine because of the mixed traditions that you and your husband have. Ang galing naman ng tradition an to...! awwwwwwww...sweet! ganda talaga ng japanese tradition...:) Am sure malayo sa trouble si Anzu...magaling kasi kayong parents eh! thanks for sharing ganda...salamat pala sa dalaw...glad to be here again....been pretty busy lately...busy packing our stuff...we are moving next week to TX. Mabigat nga yan for a one year old kid hehehe, it's a very neat tradition and I so love the concept of it. You are so lucky to learn those unique cultures Bams, dito ala nyan lol.. I love the tsinelas hehehe, so cute! my nostalgia is now up! Looks so interesting cake sis.. nice entry too. Anyway Here is mine. Ang cute siguro ni Azumi habang dala dala ang mochi sa kanyang likod. Katulad nang lahat nang Asian countries, maraming superstitious beliefs ang mga Japanese. Although we respect these superstitious rites and rituals, we must not be deviated from our beliefs in the divine providence of our Lord. Thanks for the post. God bless you all always. Wow, galing naman ng tradition na yan. at Azumi successfully carried the heavy rice. Siguro she was having fun carrying those stuff. Thanks for sharing sis. that's a very interesting tradition. every country talaga iba-iba ng paniniwala ano? the mochi reminds me of chinese tikoy. pareho ba sila ng lasa? Ang dami talagang traditions dito sa Japan noh?Naalala ko tuloy ang first b-days nila Wakaba at Haruka--can't believe na meron palang ganun dito but very interesting.Sobrang nabibigatan yata ang mga nagfirst b-day na bata dito sa Japan!